Hand crafted in the USA describes the majority of our products, and it is especially true with our new American Classic bias look radial tires. These revolutionary tires are proudly made in the USA. 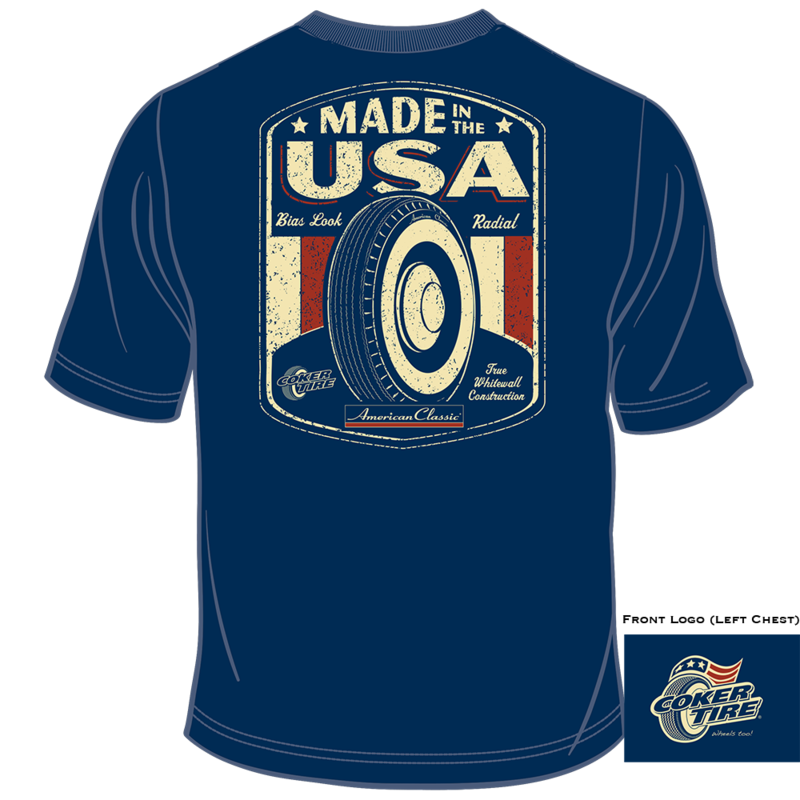 To commemorate all the folks who have worked hard to make America great, we created a cool Made in the USA shirt. Now, you can show that you’re proud to be a supporter of the Made in America movement and look good doing it.